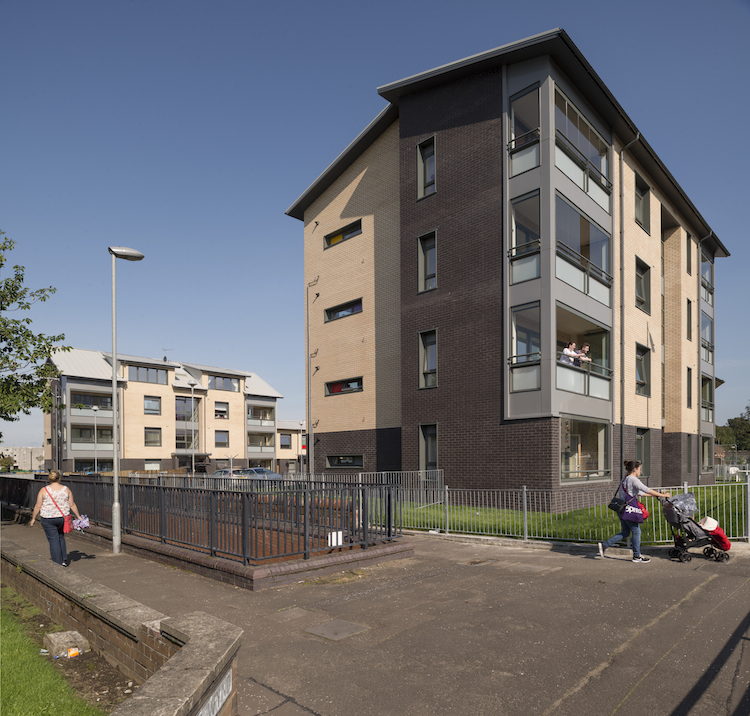 Balcony enclosures offer a variety of benefits for new-build housing developments, as John Baillie, Managing Director of Windoor, tells LABM. A balcony enclosure can be specified on a project for many reasons. Whatever the design brief, whether it be contemporary or traditional, low-rise or high-rise housing, for families or the elderly and infirm, a balcony enclosure on a development can give the resident so much more than a pure outdoor space that is often only used on the warmest days of summer. A balcony enclosure is a different concept to glazing in a balcony space with openable windows or fixed glazing. Enclosing the space in this way means that the balcony space forms part of the apartment itself and therefore additional amenity space would have to be found elsewhere on the development. However, a balcony enclosure actually is classed as amenity space; it is a private outdoor space to be enjoyed by the resident, a scarce feature particularly in densely populated areas. A balcony enclosure will provide you with solutions to meet many requirements of your development plan and can be categorised as follows. Protection and Safety: When closed, the lockable balconies provide protection from adverse weather and unwanted intrusion, including pigeons and other vermin. They provide a safe environment for occupants including young children, the elderly or infirm. A safe balustrade height is maintained when the glazing is fully open and restrictors can be used for additional safety. Sustainability: Energy efficiency is created by the solar gain that is captured by the enclosed balcony space when the glazing is closed. Ideally, you would have solid walls and floors that store the heat. This heat can then be used to warm the apartment by opening the inner door when required, for example on returning home. This has been proven to reduce energy bills. 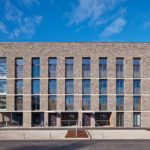 Additionally, natural ventilation can aid an overheated apartment reducing the need for fans and air conditioning by fully opening up the glazing and inner doors to allow fresh air to permeate the home. The balcony glazing will ensure that the occupier benefits from the natural daylight. The frameless glazing maximises natural light influx, reducing the need for artificial lighting in addition to the well-proven health benefits of natural daylight on wellbeing. 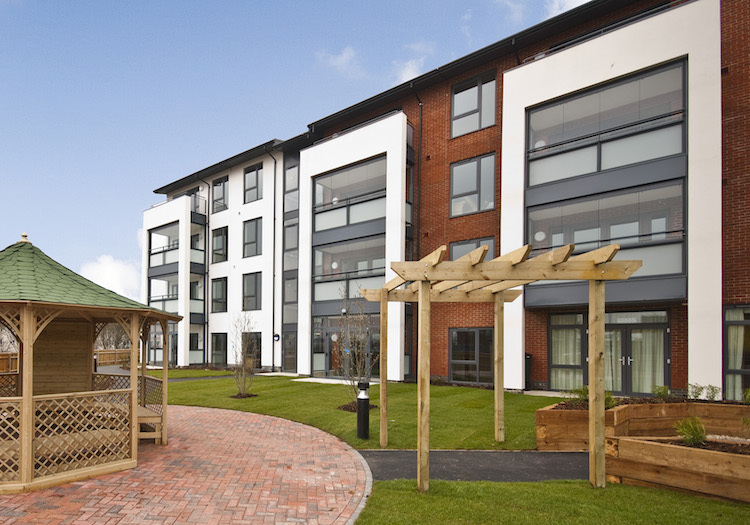 A secure environment is formed at Shotover View care home, Oxford with balcony enclosures. Noise Reduction: With the increase in inner city or brownfield development, properties are often in densely populated areas. Windoor balcony enclosures have an independently confirmed noise reduction property of 17db when the glazing is closed, making them suitable for roadside, rail side, flight path, town centre and industrial areas. Noise can also be generated from neighbours in close proximity and these noise reduction properties also help contain that source too. Versatility: Whilst termed a balcony enclosure this does not mean you are losing the enjoyment of an open balcony when required. From the closed position, the Windoor balcony with its specific track system, can be partially or fully opened up, making the space useable for up to 100 more days per year than an open only balcony yet still provides enjoyment of open space when the weather allows. Design: Consisting of a modular powder coated aluminium system available in a wide spectrum of colour ways, the frameless glazing forming the enclosure can be full height or over balustrade. There are numerous balustrade materials, which can be selected according to the design feature, level of privacy or to increase visibility and solar efficiencies. Every balcony is bespoke to each project and therefore the options from a design point of view are vast and can be a dominant or subtle feature of the development. Versatile balconies can be fully open, partially or fully enclosed at Limonds Wynd, Ayr. Reduce Maintenance Costs: A balcony enclosure is a secondary façade to the main fabric of the building. This means that it provides protection to the primary façade from the elements and wear and tear, including damage caused by pigeons. Because the balcony space is a buffer zone there is also less contrast in temperature within the home and the outside environment and all the problems that can create. Experience has also shown that because the balcony enclosures are well used, they tend to be enjoyed and therefore are better cared for than an open only balcony, which can often fall into disrepair due to under usage and neglect. Easy to clean: The majority of balcony glazing is installed on upper floors and therefore it is essential that there is a safe way to clean the glass. Unlike many forms of glazing, our balcony panes turn inwards by 90˚ enabling the glass to be cleaned on both sides from the internal space of the balcony. There is no requirement to lean over the balustrade. Lead image: Integrated corner balconies at Laurieston, Glasgow.